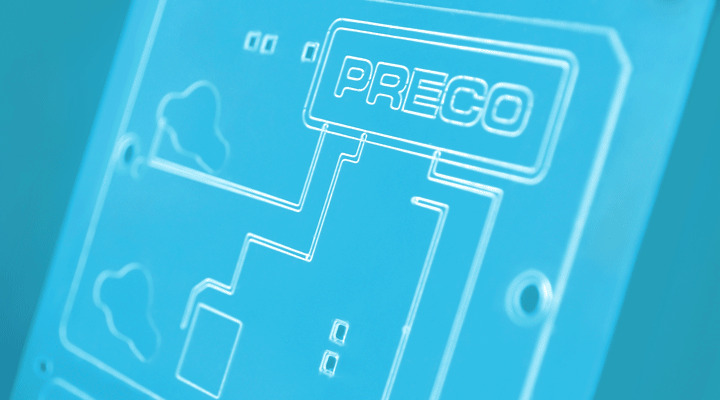 Preco's Microfluidic capabilities reduce development time via instant design changes, avoid hard tooling costs and shorten the overall concept to market process. From moisture management dressings to negative pressure wound therapy systems, our equipment and cleanroom facilities move your product from concept to commercialization. Preco is ready to transfer our expertise in precision stacking and reagent placement into Food Safety; producing turnkey devices for in-field testing. Our automated stacking and lamination technologies efficiently assemble your cards from design concept to mass production. Preco Medical & Precision Converting is an industry expert who specializes in the areas of advanced wound care and patient monitoring. From silicone pads for easy release, to transparent materials with no discoloration, we can help make your device be less intrusive and more affordable. Preco's experience, technology and innovation drive our engineering and product processing capabilities. By partnering with us you are able to tap into our manufacturing expertise to reduce costs and improve efficiency when bringing your product to market. At Preco, we don’t just provide multiple services, we deliver a complete solution.